Today is Ash Wednesday, the first day of Lent. 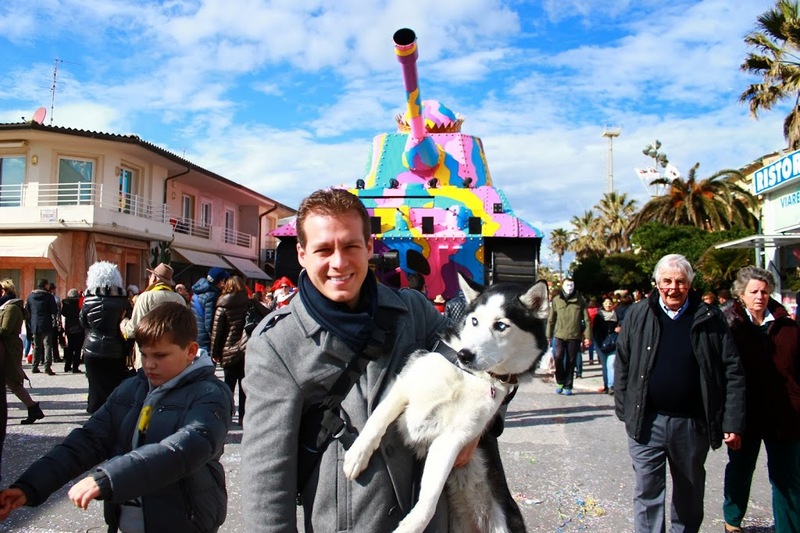 In Italy, with it’s strong Catholic background, it is obviously very important. 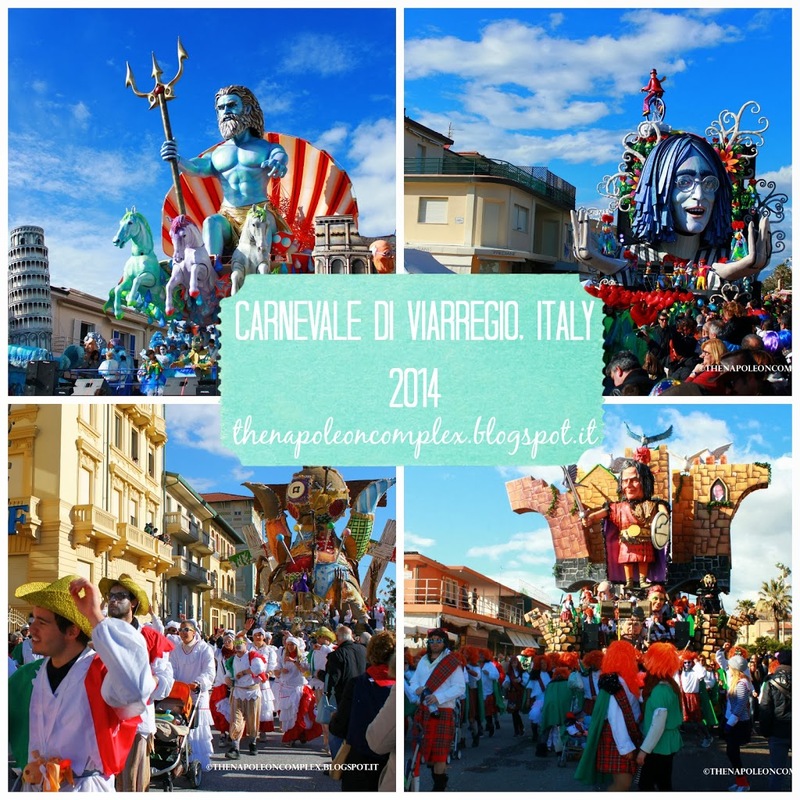 Just as important, however, was what happened before today…Carnevale! Otherwise known as Mardi Gras in the USA. 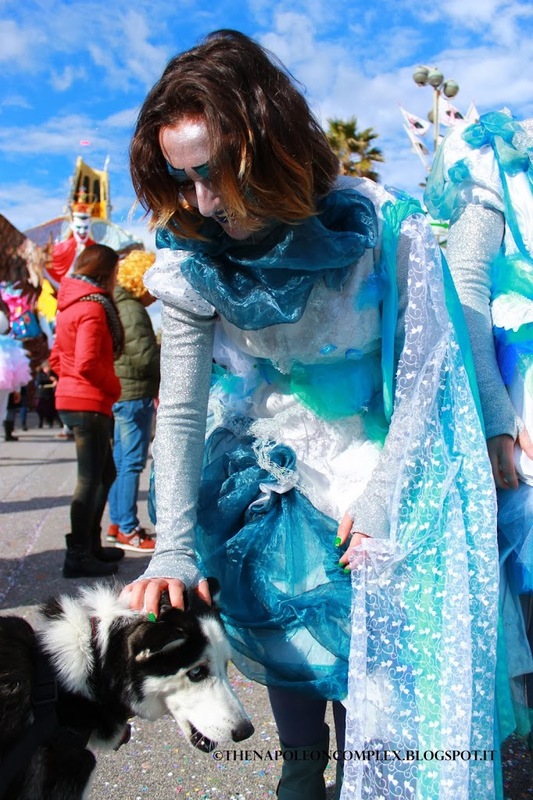 In my Venice post, I included some pictures of the beginning of Carnevale season and talked a little bit of the events that took place while we were there. 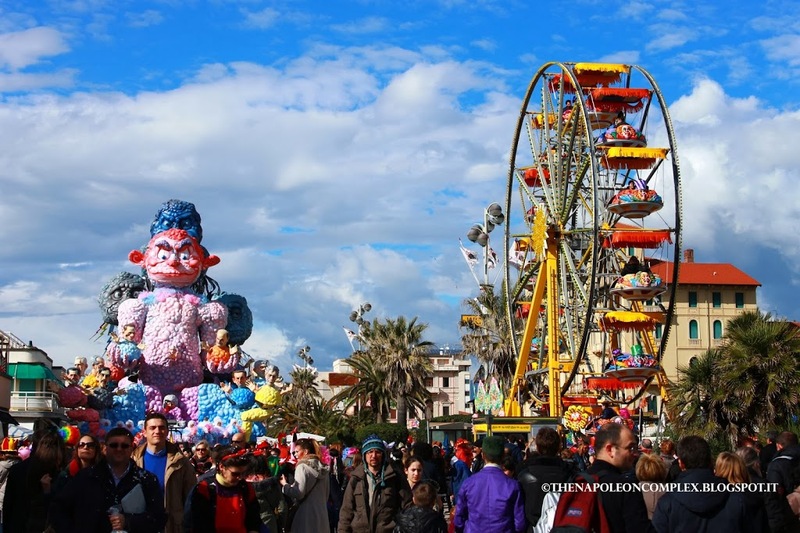 While Venice’s Carnevale is probably the most famous, it is by no means the only one in Italy. 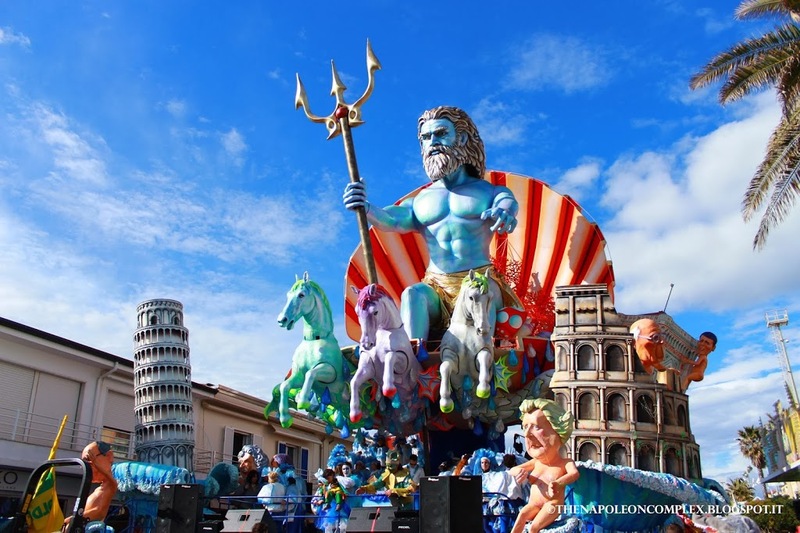 Most Italian cities and towns celebrate Carnevale in some way or another, with the exception of Rome this year. But when has that stopped us? 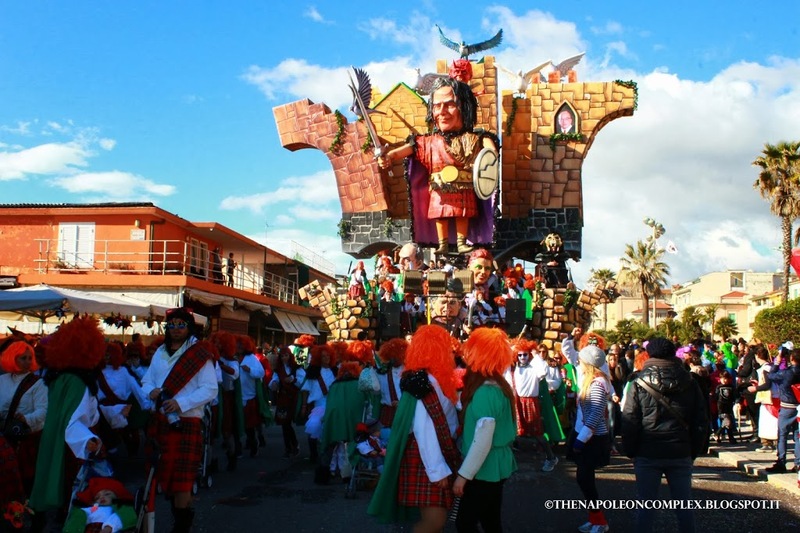 Italy Magazine (a fantastic resource of all things Italy, if you ask me) had an article about some of the best Carnevale celebrations in Italy and we got the idea to go Viareggio, a Tuscan beach town about four hours north of Rome, known for some of the best Carnevale floats in all of Italy. 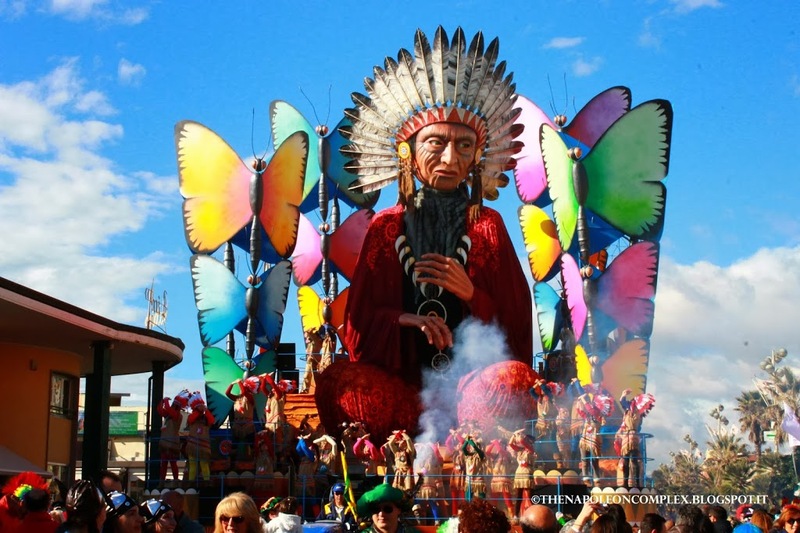 It has been around since 1873, back then the floats were made out of wood and plaster while today they are made out of papier mâché with some pretty eccentric themes, as you will see in the pictures. We had a ton of fun, while Arya was a little scared of all the people and loud music. 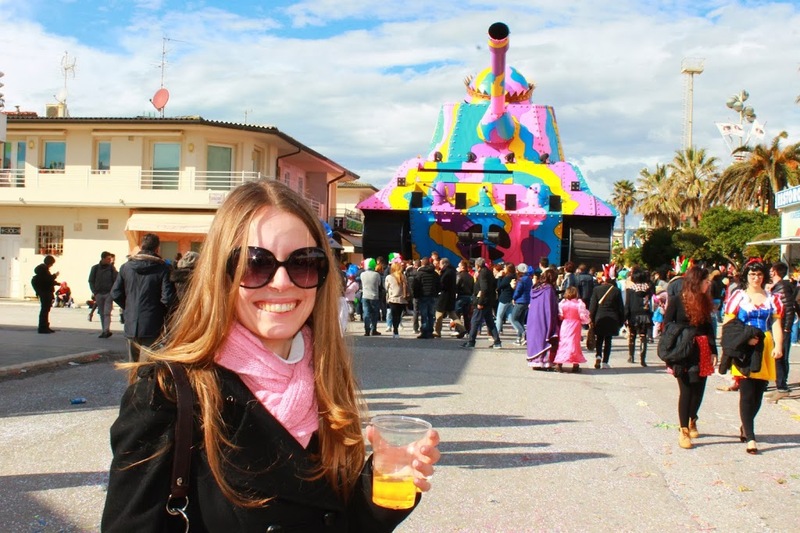 We did have to pay an entrance fee of 15€/person, but it was totally worth it. While we left early because we did have to drive back to Rome, I’m sure the party lasted all night long. 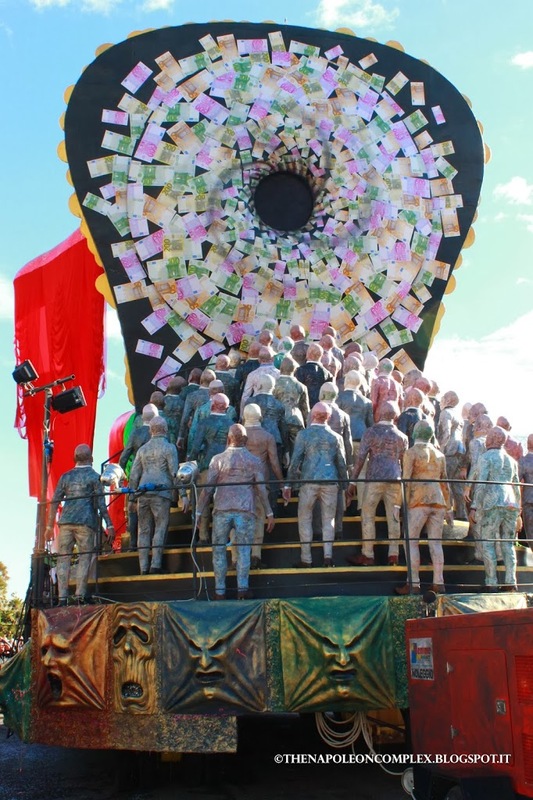 Yes, those are some naked Italian politicians, as well as a naked Angela Merkel in the front. 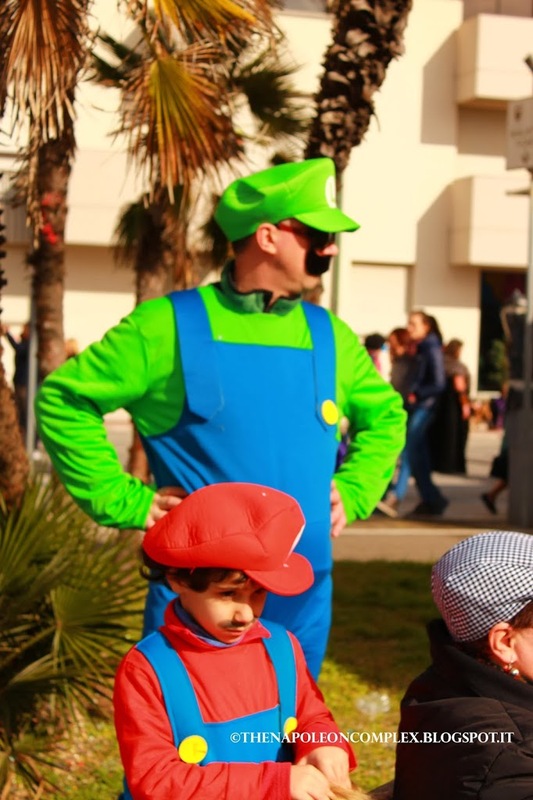 Below: I obviously thought Mario & Luigi were HILARIOUS! 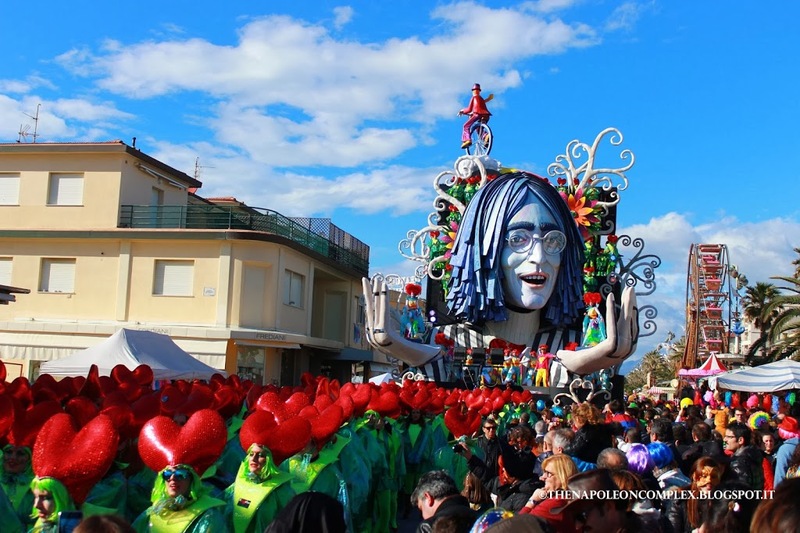 My favorite float: John Lennon and the Beatles! For more pictures, visit My Napoleon Complex’s Facebook page!